MoleculePlot https://reference.wolfram.com/language/ref/MoleculePlot.html for creating 2D plots of molecules and highlighting features like bonds or atoms. 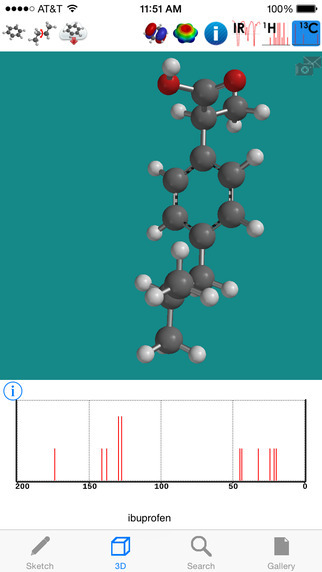 MoleculePlot3D https://reference.wolfram.com/language/ref/MoleculePlot3D.html creates a three-dimensional model of the molecule. 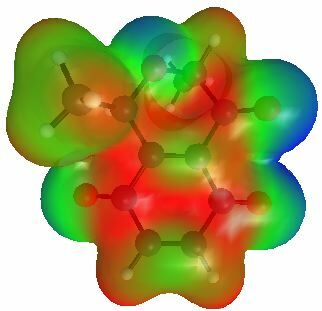 The Molecule is a symbolic representation of a chemical species and is a fully computable first-class member of the Wolfram Language. More details here. The 0.2.0 release of the Open Force Field Toolkit, featuring RDKit support and the new-and-improved SMIRNOFF v0.2 force field spec has been announced. https://openforcefield.org/news/openforcefield-toolkit-0.2-release/. We're excited to announce the public release of the Open Force Field toolkit version 0.2.0! Most notably, this release adds the ability to assign SMIRNOFF parameters and AM1-BCC charges with a completely open-source backend, adding support for the RDKit and AmberTools via a new ToolkitWrapper infrastructure that can be extended in the future to support additional cheminformatics toolkits. The OpenEye Toolkit will continue to be supported, as well as used internally our parameter-fitting pipelines in the short term. We're extremely grateful to the long list of contributors that have made this release possible, especially Shuzhe Wang from the Riniker group for piloting much of the RDKit functionality. We are pleased to announce Py-ChemShell 2019 (v19.0), the first beta release of the Python-based version of ChemShell. Py-ChemShell 2019 offers new interfaces to ORCA and DL_POLY 4, a complete task-farmed parallelisation framework (including parallel finite difference gradients), RESP charge fitting procedures, and case studies for problems in materials modelling. Py-ChemShell can be downloaded free of charge under the open source GNU LGPL v3 licence from this site. 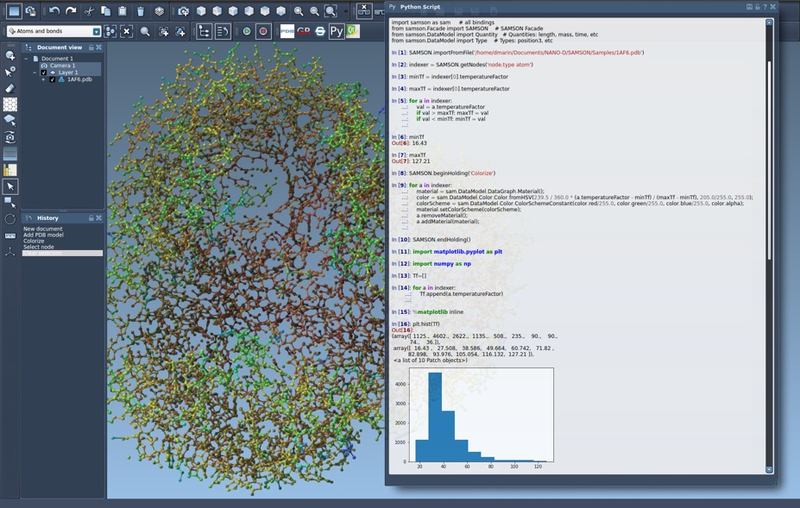 ChemShell is a scriptable computational chemistry environment for multiscale modelling. While it supports standard quantum chemical or force field calculations, its main strength lies in hybrid QM/MM calculations. The concept is to leave the time-consuming energy evaluation to external specialised codes, while ChemShell takes over the communication and data handling. With the release of ORCA 4.1, they have moved our forum and download site to a new server at the Max Planck Institute fuer Kohlenforschung, where the ORCA team now has its home base. Now at https://orcaforum.kofo.mpg.de. ORCAis an ab initio quantum chemistry program package that contains modern electronic structure methods including density functional theory, many-body perturbation, coupled cluster, multireference methods, and semi-empirical quantum chemistry methods. Its main field of application is larger molecules, transition metal complexes, and their spectroscopic properties. DOI. XTB method of Grimme et al. I can be downloaded from the zenodo repository. New features are described here. DIRAC, a relativistic ab initio electronic structure program, Release DIRAC18 (2018), written by T. Saue, L. Visscher, H. J. Aa. Jensen, and R. Bast, with contributions from V. Bakken, K. G. Dyall, S. Dubillard, U. Ekström, E. Eliav, T. Enevoldsen, E. Faßhauer, T. Fleig, O. Fossgaard, A. S. P. Gomes, E. D. Hedegård, T. Helgaker, J. Henriksson, M. Iliaš, Ch. R. Jacob, S. Knecht, S. Komorovský, O. Kullie, J. K. Lærdahl, C. V. Larsen, Y. S. Lee, H. S. Nataraj, M. K. Nayak, P. Norman, G. Olejniczak, J. Olsen, J. M. H. Olsen, Y. C. Park, J. K. Pedersen, M. Pernpointner, R. Di Remigio, K. Ruud, P. Sałek, B. Schimmelpfennig, A. Shee, J. Sikkema, A. J. Thorvaldsen, J. Thyssen, J. van Stralen, S. Villaume, O. Visser, T. Winther, and S. Yamamoto (available at https://doi.org/10.5281/zenodo.2253986, see also http://www.diracprogram.org). SAMPL6 Part II will include a octanol-water log P prediction challenge and will be followed by a joint D3R/SAMPL workshop in San Diego, Aug 22-23, 2019, immediately before the San Diego ACS National Meeting. A special issue or special section of JCAMD will be organized to disseminate the results of this challenge. TURBOMOLE has been developed to provide a fast and stable code to treat molecules for industrial application. With the TUBROMOLE implementation of RI-DFT, one of the fastest DFT methods will be available at your fingertips. OpenEye have just announced the release of OMEGA v3.0.1 This upgrade fixes several bugs and adds a number of internal improvements. A bug that caused memory leaks in OMEGA classic, dense, pose, and rocs modes, has been fixed. Previously, a substantial memory leak was experienced when running OMEGA on a large database. OMEGA macrocycle no longer uses excessive memory for molecules with terminal heavy atoms. OMEGA performs rapid conformational expansion of drug-like molecules, yielding a throughput of tens of thousands of compounds per day per processor. OMEGA is very effective at reproducing bioactive conformations, and provides an optimal balance between speed and performance when used on large compound databases. Nominations are now open for the Computers in Chemistry division of the ACS awards. Schrödinger have announced a major update their software suite. BiosolveIT update SeeSAR and more. REALSpaceNavigator is the world's largest, ultra-fast searchable chemical space developed in collaboration with Enamine Ltd. It comprises roughly 3.8 billion compounds today, which will be delivered on demand in less than 4 weeks with an exceptional success rate of 80% and above. The new RSC CICAG website is now live http://www.rsccicag.org why not have a look and provide suggestions and feedback. The Chemical Information and Computer Applications Group (CICAG) is one of the RSC’s many member-led Interest Groups, which exist to benefit RSC members and the wider chemical science community. deMon (density of Montréal) is a software package for density functional theory (DFT) calculations. It uses the linear combination of Gaussian-type orbital (LCGTO) approach for the self-consistent solution of the Kohn-Sham (KS) DFT equations. The calculation of the four-center electron repulsion integrals is avoided by introducing an auxiliary function basis for the variational fitting of the Coulomb potential. The user guide provides installation instructions and requires a Fortran compiler, BASH and MPI. NWChem 6.8 is now available on Github https://github.com/nwchemgit/nwchem. Instructions for compiling NWChem on various platforms including Mac OSX https://github.com/nwchemgit/nwchem/wiki/Compiling-NWChem. Python seems to becoming the lingua franca for scientific scripting/progamming and it is perhaps not surprising that we now see increasing support for computational chemistry. Second-order Moller-Plesset (MP2) perturbation theory. FragBuilder a tool to create, setup and analyse QM calculations on peptides. DOI. And of course there is OpenBabel that can be used create input files for a variety of computational chemistry packages. LigParGen provides bond, angle, dihedral, and Lennard-Jones OPLS-AA parameters with 1.14CM1A or 1.14CM1A-LBCC partial atomic charges. 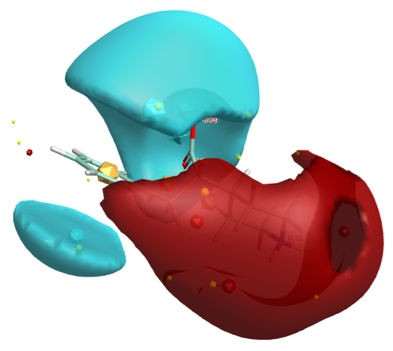 Server provides parameter and topology files for commonly used molecular dynamics and Monte Carlo packages OpenMM, Gromacs, NAMD, CHARMM, LAMMPS, CNS/X-PLOR, Q, DESMOND, BOSS and MCPRO. Also, the PQR file is generated. Supported input formats: SMILES, MOL and PDB.Maximum ligand size allowed is 200 atoms. Full details of the MacOSX installation are here. Version 1.3: Add pKa prediction challenge instructions, input files, submission template files, update on the future plans of logD challenge. This challenge consists of predicting microscopic and macroscopic acid dissociation constants(pKa)s of 24 small organic molecules. These fragment-like small molecules are selected for their similarity to kinase inhibitors and for experimental tractability. Our aim is to evaluate how well current pKa prediction methods perform with drug fragment-like molecules through blind predictions. SAMPL6 includes challenges based on aqueous host-guest binding data (binding free energies and, optionally, binding enthalpies) for three different host molecules; and on physical properties (distribution coefficients and possibly solubilities), for a set of fragment-like molecules. The host-guest systems are useful to test simulation methods, force fields, and solvent models, in the context of binding, without posing the setup issues and computational burden of protein simulations. 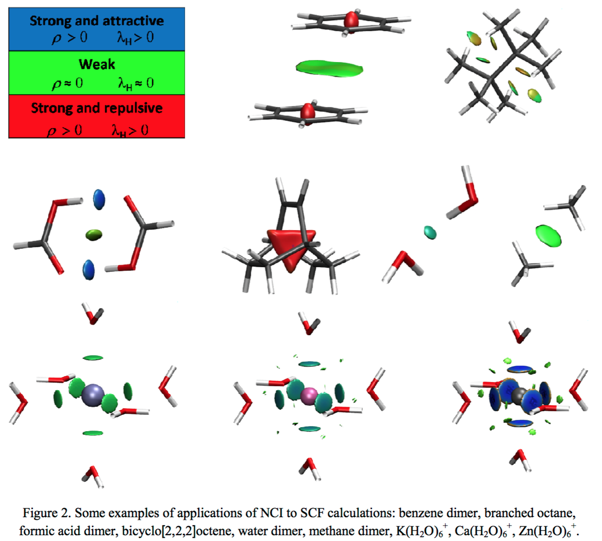 The physical properties offer efficient tests of force field accuracy when detailed simulations are used, and can also test pKa prediction methods, continuum solvation models, and knowledge-based prediction methods. SAMPL6 will also introduce a new challenge component, the “SAMPLing challenge”, in which computational methods will be evaluated on how efficiently their calculations approach well-converged reference results generated by the organizers. Participants will be provided with machine readable setup files for the molecular systems, including force field setups, along with recommended cutoffs and treatments of long-ranged interactions. The SAMPLing challenge is expected to include one or more cases from each challenge component (host-guest binding on each system; log D calculation). If you would like to participate in the challenge join up here. An interesting development for those working in nano materials. We have completed the development of IM-UFF (Interactive Modeling - UFF), an extension of UFF that combines the possibility to significantly modify molecular structures (as with reactive force fields) with a broad diversity of supported systems thanks to the universality of UFF. Such an extension lets the user easily build and edit molecular systems interactively while being guided by physically-based inter-atomic forces. This approach introduces weighted atom types and weighted bonds, used to update topologies and atom parameterizations at every time step of a simulation. IM-UFF has been evaluated on a large set of benchmarks and is proposed as a self-contained implementation integrated in a new module for the SAMSON software platform for computational nanoscience. This contribution has been submitted to the Journal of Molecular Modeling. I've written a couple of docking/virtual screening workflows using SMINA, a freely available tool DOI. There are a number of other alternatives and it is very difficult to get good comparisons which is why the Grand Challenges are useful. The Grand Challenge 3 (GC3) is a blinded prediction challenge for the computational chemistry community, with components addressing pose-prediction, affinity ranking, and free energy calculations. GC3 is based on six different protein targets, Cathepsin S and five different kinases, and is separated into five subchallenges, some of which involve multiple protein targets. Only Cathepsin S is associated with cocrystal structures, so the kinase components of this challenge focus on affinity ranking and/or free energy predictions. Three of the datasets, Cathepsin S, JAK2 and TIE2, include a free energy prediction component. This is an ideal opportunity to test novel algorithms on a carefully curated dataset. Computational practices often employ a number of computational algorithms and dataset preparation steps for meaningful results. D3R will provide a forum for deposition, dissemination and discussion of such workflows through this website. Workflows will represent methods used successfully in the blinded challenges and methods donated by our pharmaceutical and/or academic collaborators. GitHub. In Stage 1 September 1 - October 1, your predicted poses for the 24 ligands, in a coordinate system aligned with the S04-bound Cathepsin S structure provided in the inputs. Your predicted affinities, or affinity rankings, for all 136 compounds and/or your predicted absolute or relative binding affinities (in kcal/mol) for the free energy subset of 33 compounds. When Stage 1 closes, we will release the crystallographic poses of the 24 ligands. In Stage 2 October 1 - December 1, your predictions of the affinity rankings of all 136 compounds and/or absolute or relative binding affinities (in kcal/mol) for the free energy subset of 33 compounds. 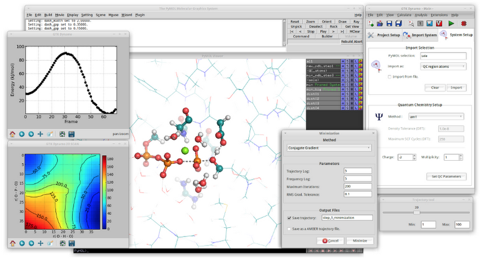 Gabedit is a graphical user interface to computational chemistry packages like Gamess-US, Gaussian, Molcas, Molpro, MPQC, OpenMopac, Orca, PCGamess and Q-Chem. It can display a variety of calculation results including support for most major molecular file formats. 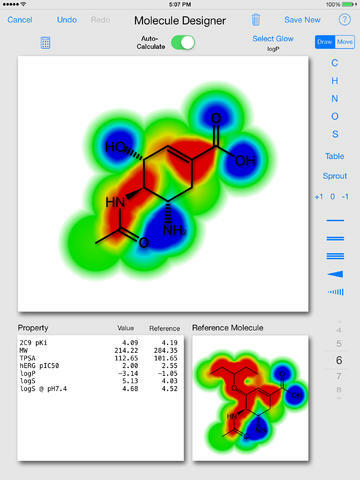 The advanced "Molecule Builder" allows to rapidly sketch in molecules and examine them in 3D. Graphics can be exported to various formats, including animations. Read dielectric function from a VASP xml file and compute optic properties : the refractive index n(w), the extinction coefficient k(w), the absorption coefficient alpha(w), the reflectivity R(w), the energy loss spectrum L(w), and the optical conductivity sigma(w). Gabedit can now read the hessian from .hess orca file. After reading of the hessian, Gabedit computes frequencies, modes and effective masses. Tv accepted (used by Gaussian and Mopac for periodic system). Using Tv, Gabedit can generate other cells. Gabedit can now compute the anharmonic spectrum by QM/MMFF94 method using iGVPT2 program. Gabedit can read the harmonic and anharmonic spectra from an iGVPT2 output file. Energy, geometry optimization, MD, MD Conformations search by MMFF94, MMFF94s, UFF and Ghemical potentials are now supported by Gabedit via Open Babel. Energy, geometry optimization, MD, MD Conformations search using your own program (potential) are now supported. DFTB+ is supported via this new tool. Instructions for compiling under Mac OSX are here https://sites.google.com/site/allouchear/Home/gabedit/download/compilation-under-macosx. Crystal14 Version 1.0.4 is mainly a bugfix release. All users are encouraged to upgrade to v1.0.4 as soon as possible. Most drug-like molecules contain a number of rotatable bonds and prediction of bioactivities, docking etc. require an understanding of conformation. 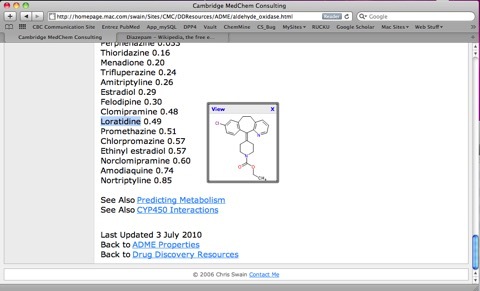 Whilst systematic methods can in theory explore all conformational space, however as the number of rotatable bonds increases a systematic search becomes prohibitive both in terms of the computational cost in generating conformations but also the time taken to process all the generated conformations (e.g. dock into protein). Thus there is great interest in rapid means to generate ensembles of representative conformations. A recent paper DOI helps to address the problem by compiling a high quality dataset of structures generated using ligands from the Protein Data Bank. The datasets were applied to benchmarking seven freely available conformer ensemble generators: Balloon (two different algorithms), the RDKit standard conformer ensemble generator, the Experimental-Torsion basic Knowledge Distance Geometry (ETKDG) algorithm, Confab, Frog2 and Multiconf-DOCK. Substantial differences in the performance of the individual algorithms were observed, with RDKit and ETKDG generally achieving a favorable balance of accuracy, ensemble size and runtime. I've now written a couple of Jupyter notebooks and one of the issues that has come up is how to share the notebooks in a way that ensures the results will be reproducible in an environment when updates to components occur regularly. 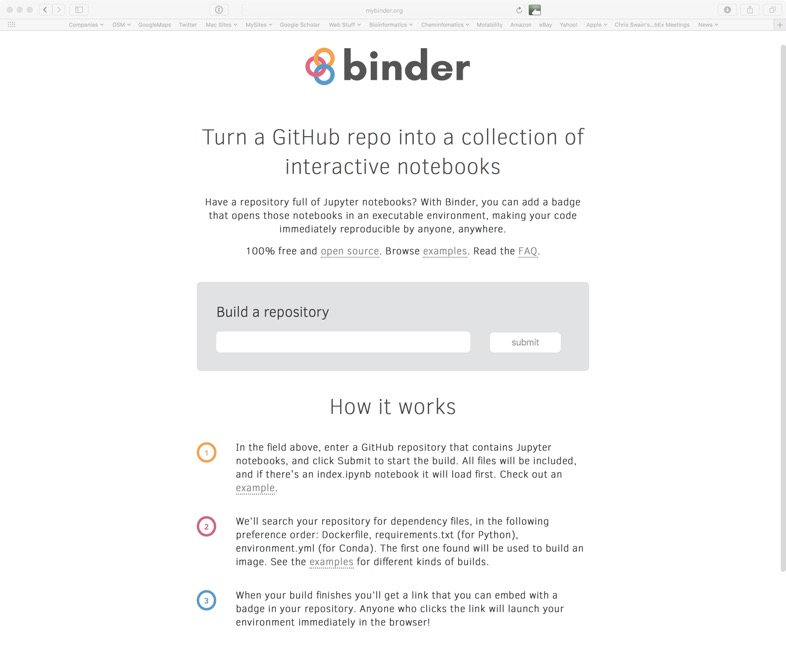 Binder is a collection of tools for building and executing version-controlled computational environments that contain code, data, and interactive front ends, like Jupyter notebooks. It's 100% open source. If you want to find out more have a look at this blog post by the developers. Even the best charge models are useless if protonation states are wrong. QUACPAC attempts to offer everything necessary to do charges correctly. It includes pKa and tautomer enumeration in order to get correct protonation states, partial charges using multiple models that cover a range of speed and accuracy, and electrostatic potential map construction and storage. Significant improvements have been made to the reasonable tautomer algorithm that affect its aliphatic and non-aromatic resonance portions. TIP3P water charges are now assigned when using Amber charge sets on molecules containing waters. Support for Mac OS X 10.10 and 10.11 has been added. Mac OS X 10.7 and 10.8 are no longer supported. An overview of the BioExcel Project. BioExcel is based on improving three aspects of biomolecular research. Firstly, improving the performance and scalability of the most commonly used software, such as GROMACS (www.gromacs.org), HADDOCK (www.haddocking.org) and CPMD (www.cpmd.org), to take advantage of next-gen HPC systems and the expected increase in the amount of data produced. It’s also important to improve how easy it is for users to access and use these types of software. Not all researchers have experience in efficiently handling data and software. BioExcel aims to provide customisable workflow environments, which will allow relatively novice HPC/HTC users take advantage of the analysis software provided in ways that suit their specific research. In addition to this, hands-on training and public webinars are already underway, aiming to teach researchers best practices and how to best utilise the software and resources available. In this manuscript, we will introduce a recently developed program GPView, which can be used for wave function analysis and visualization. 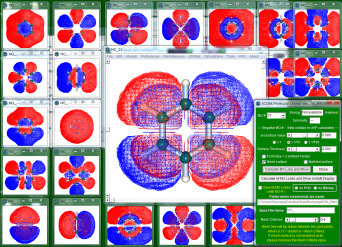 The wave function analysis module can calculate and generate 3D cubes for various types of molecular orbitals and electron density related with electronic excited states, such as natural orbitals, natural transition orbitals, natural difference orbitals, hole-particle density, detachment-attachment density and transition density. 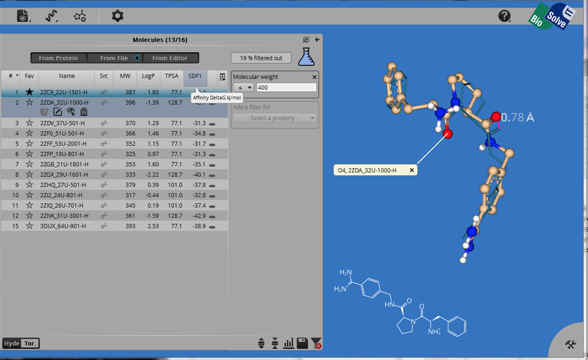 The visualization module of GPView can display molecular and electronic (iso-surfaces) structures. It is also able to animate single trajectories of molecular dynamics and non-adiabatic excited state molecular dynamics using the data stored in existing files. There are also other utilities help to extract and process the output of quantum chemistry calculations. The GPView provides full graphic user interface (GUI) which makes it very easy to use. AmberTools consists of several independently developed packages that work well by themselves, and with Amber itself. 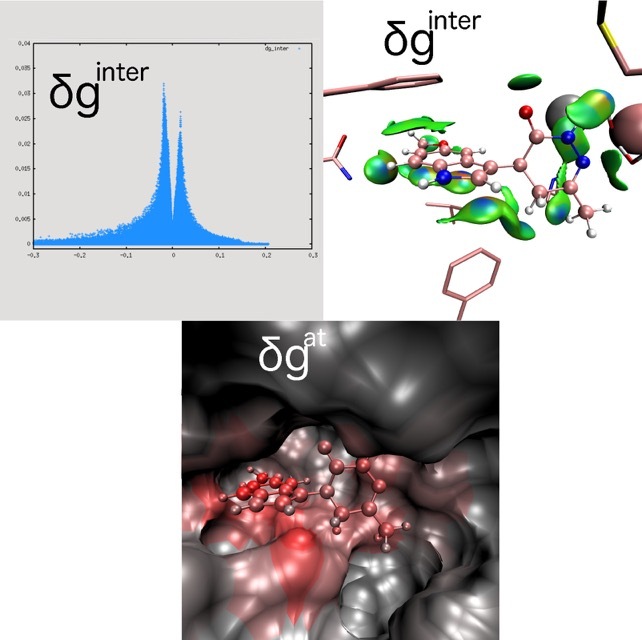 The suite can also be used to carry out complete molecular dynamics simulations, with either explicit water or generalized Born solvent models. Support and significant performance improvements for the latest Kepler, Maxwell and Pascal GPUs from NVIDIA. OpenEye have announced the release of OpenEye Toolkits v2016.Feb. These libraries include the usual support for C++, Python, C# and Java. The update address several key features. OpenEye toolkits are used in web services that require protection from malicious users. The most obvious attack vector against the OpenEye toolkits is file format parsing since scientific file formats are complex and often underdefined and there is the potential for embedded malicious code. This update closes a number of potential vulnerabilities. An interesting development is that physical memory limits on GPU's mean that for loading larger libraries the loading of the dataset actually takes longer than the actual search. This release addresses that issue. This also contains first official release of OEMedChem TK, in particular access to matched molecular pairs. Full release notes are here …. CCP4 exists to produce and support a world-leading, integrated suite of programs that allows researchers to determine macromolecular structures by X-ray crystallography, and other biophysical techniques. The latest version supports Mac OSX and Linux and requires X11. Source code is also available. OpenEye have announced the release of OpenEye Toolkits v2015.October. These libraries include the usual support for C++, Python, C# and Java. In particular note the 2015.Oct release is the last to support Mac OSX 10.8 so time to upgrade if you have not already done so. The Medicines for Malaria Venture have an interesting page in which they are accumulating a list of computational tools and guides describing the use of the tools to address key issues within the drug discovery process. Tools were chosen to address common needs expressed by medicinal and computational chemists working in the not-for-profit area. Recognising that this is a global effort, we have selected software packages on the basis of being free for all users. The guides are either text descriptions or webcasts showing the tool in action. To date they include DataWarrior, KNIME, YASARA, ChEMBL and PK Tool. The Dalton2015 suite consists of two separate executables, Dalton and LSDalton. The Dalton code is a powerful tool for a wide range of molecular properties at different levels of theory, whereas LSDalton is a linear-scaling HF and DFT code suitable for large molecular systems, now also with some CCSD capabilities. Together, the two programs provide an extensive functionality for the calculations of molecular properties at the HF, DFT, MCSCF, and CC levels of theory. Many of these properties are only available in the Dalton2015 suite. Dalton can be run on a variety of systems running the UNIX operating system. The current release of the program supports Linux, Cray, SGI, and MacOS using GNU or Intel compilers (we plan to publish patches for PGI and XL compilers).. The program is written in FORTRAN 77, FORTRAN 90 and C, with machine dependencies isolated using C preprocessor directives. All floating-point computations are performed in 64-bit precision, but if 32-bit integers are available the code will take advantage of this to reduce storage requirements in some sections. Big data booster, With version 3.0 we first equipped SeeSAR with database functionality. Version 3.2 comes with a load of performance enhancements that speed up the calculation by up to a factor of 5, now utilizing all available CPUs in your computer even more efficiently. 3D graphics enhancement, In this version we updated the graphics support and SeeSAR is now compatible with more graphics cards than ever before. Especially the compatibility with integrated graphics cards (the type most frequently found in laptop computers) - which used to be the major trouble makers - has been greatly improved. Kinetiscope, interactive method for the accurate simulation of chemical reactions. 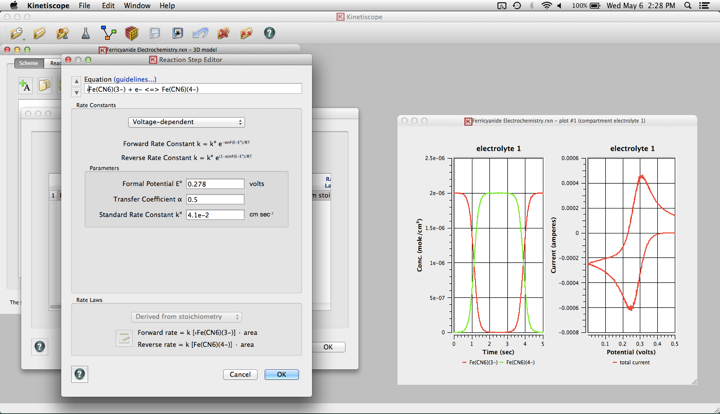 Kinetiscope is a scientific software tool that provides the bench scientist with an easy-to-use, rapid, interactive method for the accurate simulation of chemical reactions. Kinetiscope comes with a User's Manual, a set of tutorials and an extensive library of example simulations that show you the kinds of systems that can be studied with it and that illustrate techniques for handling various types of physical situations. The library includes simulations of gas phase, solution phase and solid state reactions such as co- and terpolymerization ... radical chain-initiated polymerization (including a sample spreadsheet for extracting molecular weight distributions) ... kinetic resolution of enantiomeric mixtures ... chemistry in supercritical media ... pH-dependent model enzyme kinetics ... thermogravimetric analysis ... temperature programmed desorption ... smog chemistry ... silane chemistry in a chemical vapor deposition reactor ... model batch and flow catalytic reactors ... curing of polymers with significant volume shrinkage ... synthetic protocols for preparation of a photosensitizer ... chemical oscillators ... electrochemical reactions studied by cyclic voltammetry ... photochemical reactions from a pulse light source ... pharmacokinetics of drug dosing ... and imaging chemistry in photoresist materials. Kinetiscope is a 64-bit application and requires Mac OS X 10.6 or above. I just thought I'd mention this upcoming workshop, as ever there is a top class line up. SeeSAR has been updated to version 3.1, the release notes highlight two significant new features. SeeSAR is a software tool for interactive, visual compound prioritization as well as compound evolution. Working with "big data" With this update we lifted the limit of handling only a maximum of 5000 poses in SeeSAR. We know that a lot of people like to do their compound analysis and prioritization after virtual screening campaigns also with much bigger sets. It is not likely that you will look at more than a couple of hundred poses, however, since the filtering (see also below) is extremely efficient, it provides quite an attractive opportunity to load all your data (not just the top x) and do your prioritization with all properties at hand right here in SeeSAR. Enhanced filtering Behind the scenes SeeSAR knows so much more about your compounds than what is displayed in the table. The basic stuff like no. of acceptors and donors, rotatable bonds, etc. to do the usual Lipinski-type filtering is of course available, but also more elaborate stuff like the number of hydrogen bonds formed or the number of torsions that lie outside the statistical "norm". All of these are now available for filtering to help you optimally trim down your data to find the really interesting part. NOTE! SeeSAR project files from older versions are incompatible and cannot be loaded. By default SeeSAR puts a new version in a separate location. The recommendation is to export your data from the old project file with the old version and import it into the latest SeeSAR. This is a one-time effort, which allows you to benefit from the features of the most up-to-date version. The update of Forge, a computational chemistry workbench for ligand-based design, includes over 170 new or improved features. Of particular note is Activity Atlas a new component enables you to summarize the SAR for a series into a visual 3D model that can be used to aid new molecule design. Forge V10.4 can now connect to an external web service, through a REST interface, to import external properties and data computed or retrieved by such web services as additional columns in the Molecules Table. 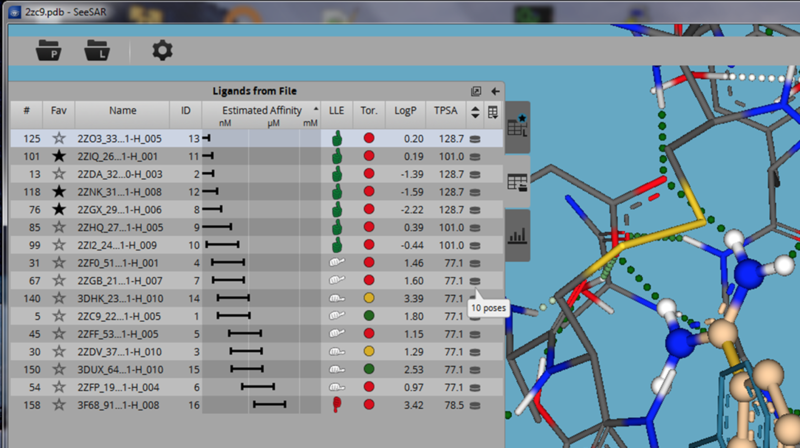 The latest version of Torch now includes Multi-parameter Optimization (MPO) options including condensing many activity and physicochemical properties into a single score representing the fit to the project profile, this has been coupled to an improved radial plot visualisation and tile display. OpenEye has announced the release of OpenEye Toolkits v2015.June. These libraries include the usual support for C++, Python, C# and Java and are now available for download. The recently updated AMBER tools now includes software to analyse the structure and thermodynamics of water at protein and other surfaces. In addition to 3D-RISM, AMBER Tools now includes a new method, called Grid Inhomogeneous Solvation Theory, uses the same underlying theory as WaterMap but generates 3D grids of water properties, rather than focusing on discrete hydration sites. The method is described in this paper, Grid inhomogeneous solvation theory: Hydration structure and thermodynamics of the miniature receptor cucurbituril DOI. 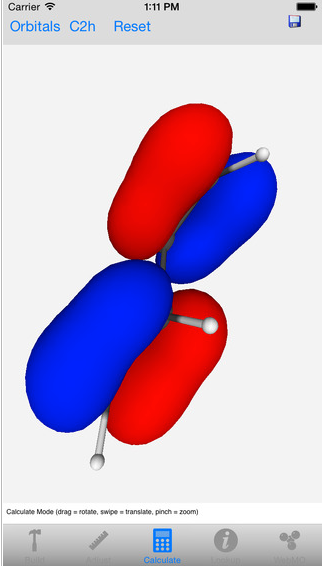 Solvation and desolvation plays a critical role in ligand binding but can be difficult to determine computationally. AmberTools consists of several independently developed packages that work well by themselves, and with Amber itself. 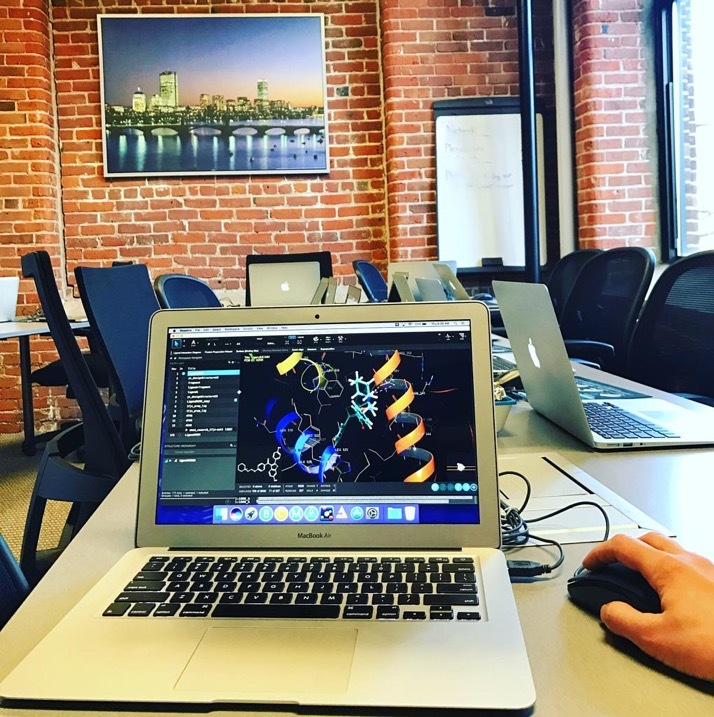 The suite can also be used to carry out complete molecular dynamics simulations, with either explicit water or generalized Born solvent models. AmberTools is distributed in source code format, and must be compiled in order to be used. You will need C, C++ and Fortran90 compilers. I just got this message regarding MacMolPlt a graphics program for plotting 3-D molecular structures and normal modes (vibrations). I have just finished posting the final binaries for MacMolPlt 7.6. In addition to the code changes I have had to move the home site and binaries download sites due to the impending shutdown of Google code. Account for an $EFRAG group change to allow all fragment atoms rather than only the first three. Fixed the positioning of lone pairs in the builder when the coordination number plus the number of lone pairs is 5. Fixed a couple of parsing issues with MolDen and Molekel (mkl) files. Added GIF and TIFF export image formats (requires wxWidgets 2.9 or newer). I have also reworked the 3D orbital generation code to significantly improve performance. Please report anything that doesn't look quite right. Previously known as StarVue, the latest release of Ocura, version 6.0, is now available. This latest release will enable you to open and view files from the latest releases of StarDrop 6.0 and Sentira 1.0. 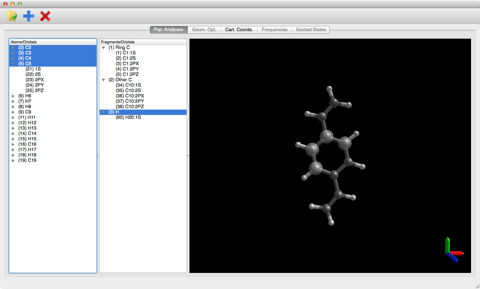 Ocura is a desktop application is specifically designed for scientists who want a simple way to load a set of molecule structures and easily browse through the data. OpenEye ihave announce the release of POSIT v3.1, the component of the OEDocking suite devoted to pose prediction. The HYBRID and FRED algorithms have been incorporated into POSIT, the appropriate method is determined by analyzing the ligand to pose against the input receptors. Multiprocessing has been enabled through the use of MPI, to speed calculations. POSIT now supports a list of receptors files or .lst file as input. This overcomes command-line limitations for the number of receptors that can be used simultaneously. Added a MEDIOCRE result rating for results between 33% and 50% probability. Command line parameters have been simplified and updated to be compatible with the OEDocking Suite of tools. POSIT is designed for the posing problem in lead optimization, i.e. how best to leverage project information from previous protein-ligand structures to predict the pose of a new ligand. It does this by assessing the similarity of the new ligand to known bound structures. Performance degrades as similarity decreases and so at some point it is worth searching more exhaustively. SeeSAR 1.5 has been released. 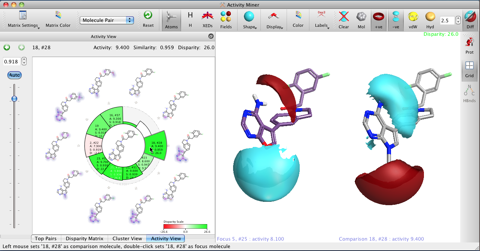 SeeSAR it is intended as an interactive tool for designing/improving ligands for drug discovery. The latest release covers two major topics: 1. A series of features that make the editing more swift and easier. To this end they introduced hot-keys, context menus and drawing a bond by drag&drop. 2. Often times people use SeeSAR for visual inspection e.g. after docking. Now normally you'll have multiple poses per compound. For a better overview the Table now allows you to collapse all poses to just one line per compound. Furthermore you can set a bookmark to indicate what you like and export only the ones on the wish list. There is a review of SeeSAR here. KiSThelP is intended as a working tool both for the general public and also for more expert users. It provides graphical front-end capabilities designed to facilitate calculations and interpreting results. KiSThelP enables to change input data and simulation parameters directly through the GUI and to visually probe how it affects results. Users can access results in the form of graphs and tables. The graphical tool offers customizing of 2D-plots, exporting images and data files. McQSAR, an extension to the traditional GA approach to derive QSARs. McQSAR is able to use descriptors for multiple representations per compound, such as different conformers, tautomers, or protonation forms. Test runs show that the algorithm converges to a set of representations that describe the binding mode of the set of input molecules to a reasonable resolution provided that suitable descriptors based on the three-dimensional structure are used. Mikko J. Vainio and Mark S. Johnson (2005) McQSAR: A Multiconformational Quantitative Structure-Activity Relationship Engine Driven by Genetic Algorithms. J. Chem. Inf. Model. 45, 1953-1961 DOI. The recently updated Balloon creates 3D atomic coordinates from molecular connectivity via distance geometry and confomer ensembles using a multi-objective genetic algorithm. The input can be SMILES, SDF or MOL2 format. Output is SDF or MOL2. Flexibility of aliphatic rings and stereochemistry about double bonds and tetrahedral chiral atoms is handled. 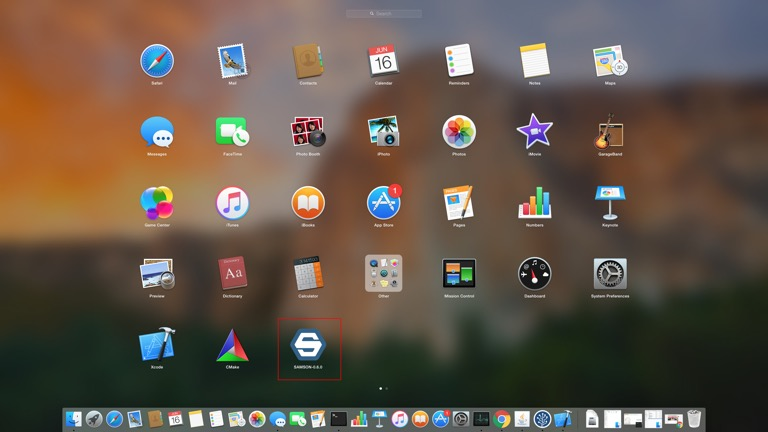 One of the advantages of using a Mac for science is that you can often make use of the UNIX underpinnings of Mac OSX to access programs written for Linux. A recent publication in Journal of Cheminformatics caught my eye, screening of molecules using electrostatics is usually a very time-consuming process, but this publication describes an interesting and very quick way to screen molecules. I’ve written instructions for how to install ACPC under Mac OSX. Now that I have my new MacPro I thought it might be interesting to try out a couple of the software packages that I’ve previously reviewed. ForgeV10 allows the scientist to use Cresset’s proprietary electrostatic and physicochemical fields to align, score and compare diverse molecules. It allows the user to build field based pharmacophores to understand structure activity and then use the template to undertake a virtual screen to identify novel scaffolds. I’ve previously reviewed ForgeV10 and as it was formally known FieldAlign so I’m going to focus on the support for multiple processors and a few of the new features. Porting of BUDE (Bristol University Docking Engine) to OpenCL. A recently publication “High Performance in silico Virtual Drug Screening on Many-Core Processors” DOI describes porting BUDE (Bristol University Docking Engine) to OpenCL. Our highly optimized OpenCL implementation of BUDE sustains 1.43 TFLOP/s on a single NVIDIA GTX 680 GPU, or 46% of peak performance. BUDE also exploits OpenCL to deliver effective performance portability across a broad spectrum of different computer architectures from different vendors, includ- ing GPUs from NVIDIA and AMD, Intel’s Xeon Phi and multi-core CPUs with SIMD instruction sets. BUDE is now one the fastest HPC applications ever developed and nicely demonstrates the portability of OpenCL across different architectures. There is a list of GPU accelerated applications here. CrunchYard is pleased to announce their academic offering for HPC in the cloud. The academic offering allows anyone with a valid academic e-mail to instantly access the online HPC facility. A plot of electronic transitions and a easy-to-read list of the corresponding orbital excitations from TDDFT/CIS calculations. The cclib computational library (v1.2b). Tenderholt, Adam L. QMForge, Version 2.3.2, http://qmforge.sourceforge.net. 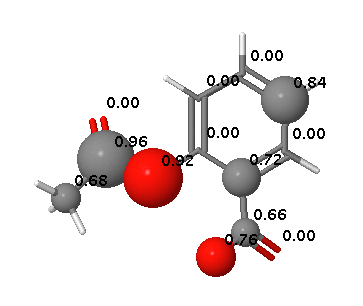 Tenderholt, Adam L. "QMForge: A Program to Analyze Quantum Chemistry Calculations", Version 2.3.2, http://qmforge.sourceforge.net. There is a list of software reviews here. OpenEye have just released an update to SZYBKI with a host of new features. SZYBKI is used to optimise the three dimensional structure of molecules prior to their use in other programs. SZYBKI also refines portions of a protein structure and optimize ligands within a protein active site, making it useful in conjunction with docking programs. New utility program called FreeForm is available for Szybki users. It provides two distinct functionalities: evaluation of the solvation free energy of the input molecules and free energies of solution conformations. Please Note: FreeForm is not available under 32-bit Windows because of the high memory requirements of this application. A new forcefield for protein-ligand interations is available upon selecting a new option -ff followed by AmberMMFF94 or AmberMMFF94S. It is a combination of MMFF94 (or MMFF94S) with Amber. 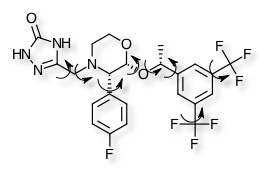 In this combined force field, MMFF94 (or MMFF94S) is used to describe the intramolecular interactions of the ligand and the Amber force field is used for the VdW and Coulomb interactions between ligand and protein. Currently, this force field can be used only for ligands inside rigid proteins. Entropy estimation based on analytical MMFF Hessian is extended for ligands bound in a rigid protein using the option -entropy. Constraining torsion potential in the form: , where is the user specified force constant and is the reference torsion dihedral angle is available with the use of the input flag -tor_constr. New option -optMethod is introduced for optimization method selection. The possible choices of optimizers type are BFGS, conjugate gradient, steepest descent and mixtures of steepest descent preoptimization followed by BFGS of conjugent gradient. Option -conj is no longer supported. Optimization of molecular systems with large number of degrees of freedom (>= 500) is by default done with the conjugate gradient method unless specifically requested with the option -optMethod. New option -optGeometry is introduced for selection of coordinate system to be used during optimization. It replaces no longer supported options -optcart, -opttorsions, -solid and -noopt. It can be also used to optimize hydrogen atoms positions only, instead of using for that purpose -fixsmarts. Molecules from the input file which failed during processing are by default written to the separate molecular file. See the description of new option -keepFailures. Starting from this release flags -fixsmarts and -harmsmarts are followed by the name of the text file containing a single line with a SMARTS pattern used to fix or constrain atoms. Input of SMARTS strings on the command line for those flags are not used anymore because some SMARTS strings may contain special characters which may be interpreted incorrectly on some platforms. OpenEye have just announced that the virtual screening tool ROCS v3.2 has been released. Several noteworthy features have been added to this version including a -subrocs option that can drastically improve substructure alignments. Also included is an application rocs-report that uses our 2D depiction technology to make pdf reports of hitlists displayed with 2D similarity, shape and color overlaps, as well as property histograms. Substantial upgrades have been made to vROCS. An improved sketcher now highlights unspecified stereochemistry in atoms and bonds in query structures, and requires the user to correct any unspecified stereochemistry. ROCS is available for download here. StarDrop was recently updated to version 5.4, this brings an update to the virtual library design module and scaffold based design, there have also been improvements to the plotting and data visualisation. There are now seven optional plugins with three exciting new options. Derek Nexus™ - Knowledge based toxicity prediction The new Derek Nexus module for StarDrop provides Lhasa Limited's world-leading technology for knowledge-based prediction of key toxicities. Using data from published and donated (unpublished) sources, Derek Nexus identifies structure-toxicity relationships that alert you to the potential for your compounds to cause toxicity. The Derek Nexus module provides predictions of the likelihood of a compound causing toxicity in over 40 endpoints, including mutagenicity, hepatotoxicity and cardiotoxicity. BIOSTER™ - A world of chemistry experience BIOSTER is developed and updated in collaboration with Digital Chemistry and is available as an optional extension to StarDrop's Nova module. This combination enables you to quickly and easily search the comprehensive BIOSTER database to identify transformations that are relevant to your compounds. These can be automatically applied to generate novel structures with a high likelihood of biological activity and synthetic accessibility, prioritised against the property profile you require for your project. BIOSTER brings the collective experience of the chemistry community to help you to discover new active analogues of your compounds based on the tried and tested principle of isosterism. The BIOSTER module contains a unique compilation of over 20,000 precedented bioisosteric transformations, manually curated from the literature by Dr István Ujváry, complete with references to the original publications in which they are described. torch3D™ The renamed torch3D module, using Cresset’s unique Field technology to understand and apply 3D Structure Activity Relationship (SAR), has been updated to include the latest version of Cresset’s XED force field providing insight into compounds’ 3D structures, biological activities and interactions. These certainly significantly expand the potential utility of StarDrop, but note that these are not part of the standard install and may require additional licensing.